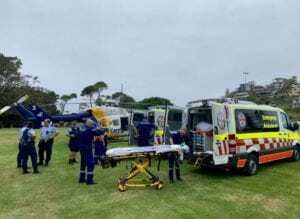 A 56-year-old man has been airlifted to hospital, after he fell from a retaining wall on the Central Coast. 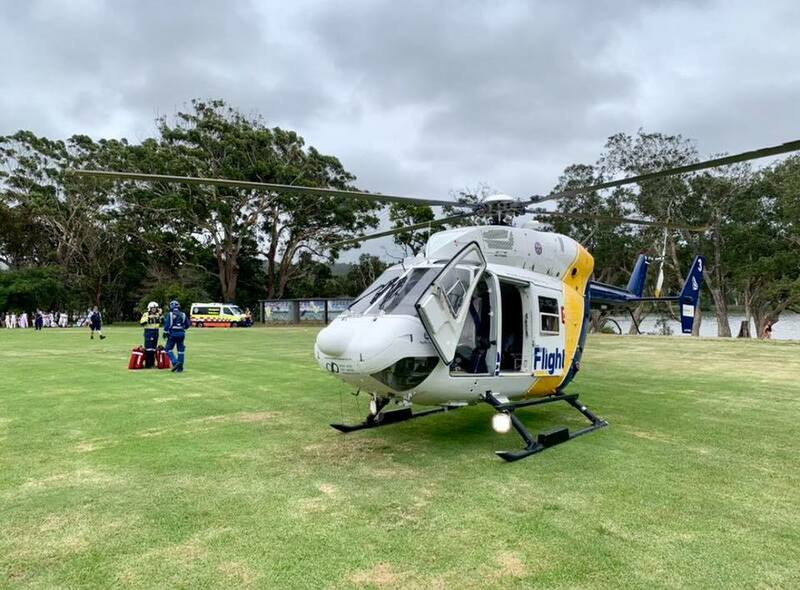 The man was gardening at his Avoca Beach home at around 2 o’clock on Saturday afternoon, when he fell around three metres. He suffered back, chest and head injuries in the fall and was taken to a nearby oval to meet a waiting helicopter. A local cricket game had to be stopped to allow the CareFlight helicopter to land. The man was flown to Sydney’s Royal North Shore Hospital.